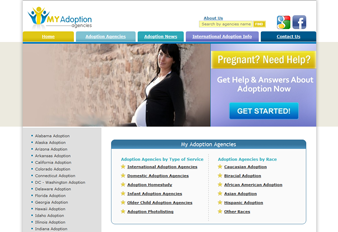 The website My Adoption Agencies is a comprehensive resource for those interested in all aspects of adoption. This site has information for both birthparents and adoptive families. My Adoption Agencies also includes an ample search feature and lists information of national and international agencies. Adaptivity Pro prides itself on providing exceptional web design and Internet marketing services. Satisfied Adaptivity Pro clients can be found not only in Utah but also nationwide and internationally. The professionals employed at Adaptivity Pro are poised to provide the best design, SEO, PPC and Internet marketing that exceed clients’ expectations.